Chances are that it doesn’t matter what walk of life you come from, you will have come into contact with project management in one form or another. Whether you’re the office oink working your way up the ladder of success, or a couch potato watching the latest series of The Apprentice. You may be asking yourself the same question that I did a few years ago; Why is Project Management important? 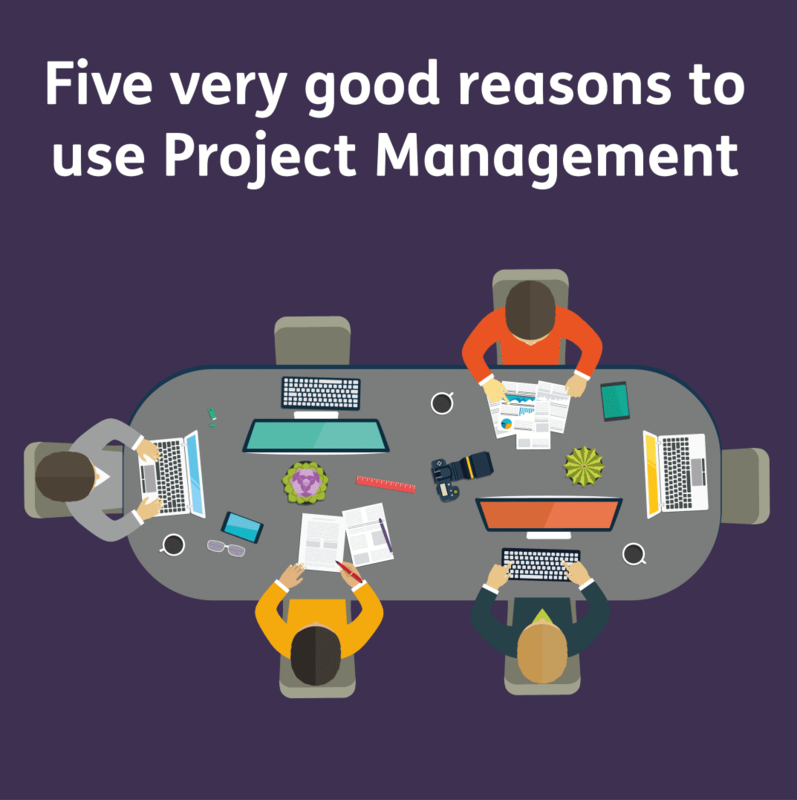 In this article, I am going to discuss 5 reasons why Project Management is important and why you need it in your life. Yes, I’m afraid that Project Management is an essential part of a business, whether big or small, it is put in place to help make sure that projects are delivered on time, on cost and on quality. If you don’t have a decent project management procedure in place, be prepared for a tangled mess and potentially, failure. Projects usually fail in the following five areas, which are covered by having Project Management in place. During the early stages of a project’s life, each phase must be given an estimate of completion which is as accurate as possible. The estimate will contain the time taken, cost, resources needed and literally anything related the project team can think of, this will carry on during the entire life of the project. All of the potential risks to the project are weighed up at the beginning of each project in the charter or Project Initiation Document (PID for short). The project is broken down into individual phases, which is then broken down further into individual tasks. Estimates are then made on each task. The estimates must be true to the best knowledge of the team involved. This takes into account past experiences and basing estimates on similar tasks. If any of the tasks are unfamiliar, it’s best to add a percentage for risk and contingency. This will safeguard the project from failure if an estimate made is incorrect. It is important to note that Cost in Project Management terms doesn’t just refer to monetary purchases. People’s time come under the umbrella of a cost. So this means that Cost can refer to labour for an hour’s work, or the cost to rent a piece of equipment. One of the areas where failure can occur is in the planning. Most people are aware of this and this is why companies spend ages on getting it right. But more often than not, the planning is not detailed enough. Knowing the difference between time-elapsed and the estimated task completion time is a major sticking point. The estimate is the number of hours someone will have to work on that task to complete it. Time Elapsed is how long on a calendar it will take to do it. Deciphering between the two is where most projects fall short. As an example, if a person working 8 hours a day has a task estimated to take 24 hours to complete. Initially, it appears that the task should take 3 days of work to complete. In the real world though, this guy has trips to the dreaded dentist on Tuesday and Thursday. So for the purposes of showing it on a plan, it will actually show 5 days to complete and not 3 days. Planning doesn’t just account for the duration of individual tasks and how long they’ll take. Planning must incorporate the availability of resources. And by that I mean all resources. It’s important to point out again here, although we like to think of ourselves as unique beautiful individuals, to a business, people are resources to be used. “His name was Bob” springs to mind, right? When we take into account the resources, we include members of staff as well. Not having a well detailed, meticulous plan in place will more than likely result in the failure of the project. Without a solid project management backbone in place, you are opening yourself up to the possibility of losing control. Losing control of a project usually occurs when a company has not planned ahead for every risk, this means that they become an issue. Obviously, some things need more meticulous planning than others. But it must be done. With an effective Project Management, you document any risks up front or as they appear and document mitigation of that risk. Should a risk become an issue, then that issue should be managed effectively. This is done by thinking about what you can do with the risk in order prevent it becoming an issue. Imagine that an important resource hasn’t arrived on time, this could affect the project. One issue management option could be to see if you can rent the resource. Thus preventing the risk developing into an issue. Issue management should consist of a well-documented process which includes the solution, who’s responsible for sorting this issue and when is it going to be done by. An important final step in issue management is to check that what you say is going to happen, happens. Any alteration to what has been agreed in the project plan falls under change management. You should first assess whether the change will affect any of the three key areas of cost, time or quality. Then, if it does affect one or more of these factors, both parties need to agree whether the change is necessary. This obviously should all be well documented. It may sound like a lot of work, but even if it is a small project, it is necessary. Being well documented and managed, everybody involved in the project can clearly identify that everything has been well thought about and not just thrown together willy-nilly. If everything has been done properly, the chance of any surprises should be vastly reduced. This area of Project Management relates to things, people, hours and dates. So of the areas we have already touched upon. Monitoring plays a big part in the success of a project. Having a project go over budget or scheduled time raises some awkward conversations. Using the project budget in the first few months can cause the project to peter out and slowly crawl to a halt. There is no point in planning and costing a project if you don’t regularly check to see whether it’s on track. You don’t want to wait until the end to find out that you’re miles of course. Anything that shows that you’re veering off course can be an issue. If you are off course, then its important to know why and what can be done about it. Another point to be raised here is that there’s no point in checking regularly if you are just going to keep it to yourself. Whether its good news or bad news, make sure you share it with the customer. If it is bad news, then you’re in a position to start doing something about it. That is if you’re not already of course. This last point leads me nicely onto communication! Communication breakdown isn’t just an excellent Led Zep song, but one reason that projects go awry. You’ve probably noticed this in real life, whether it’s a misunderstood text message or an ambiguous party invitation which left me wondering why nobody turned up. It happens in most walks of life. A lack of communication is a real problem in business. It usually lurks on its victims through emails or anything text based. The previous example is a case of miscommunication, however, other times communication issues arise from trying to find the most recent document version of a long, long thread of email posts. There are three pieces of advice that we recommend project managers follow. Firstly, “Write everything so that it can’t be misunderstood”. This can be quite verbose and sometimes come across as a little pedantic, but there’s no confusion is there? Secondly, and this has been mentioned before, document everything! Every change to each document, each version change, why it was changed, when and where. Lastly, file all documents centrally. Basically, don’t have bits and pieces here, there and everywhere. Make sure that everything project-related is stored in one place. Also, keep it ordered so that people aren’t getting mixed up with what’s the latest version or each document. It might seem petty at the time, but a well-documented system will allow everybody to sing from the same hymn sheet which saves oh-so-much time in the long run. Here it may have seemed that I have been focusing on communication in-house, it is important to Share information on the project with the client too! This can be achieved simply with regular updates, feeds and reports. While the title of this post is ‘five very good reasons’, it should actually be renamed to five essential reasons. Without out having a solid, well thought out, well documented and well-kept Project Management system in place, the project is highly likely to fail miserably. There are only extremely rare cases where a project has been successful without Project Management.